Independence Day is just around the corner, which means that soon it will be time to relax and celebrate our country’s independence with our friends and family. While the 4th of July is typically a very enjoyable time for us humans, our furry friends could easily become anxious, stressed out, or harmed accidentally on this day. 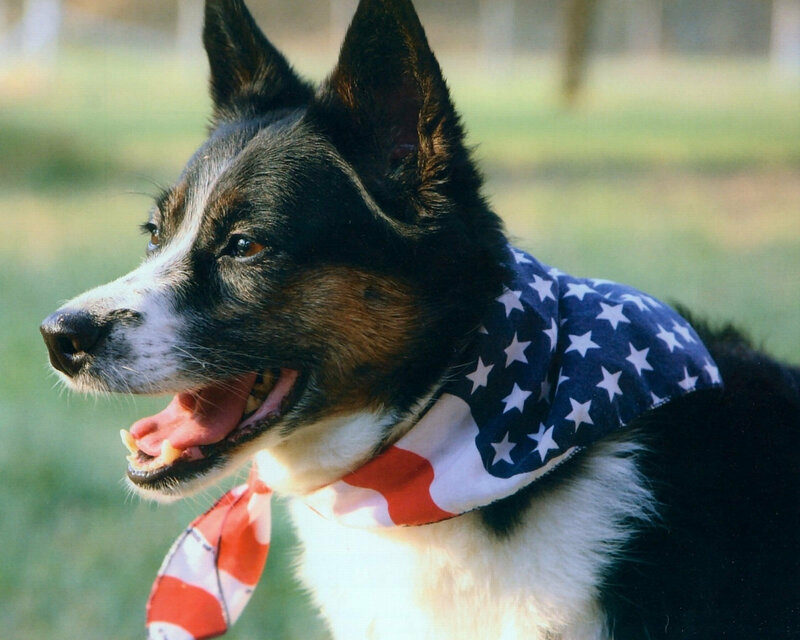 We have compiled 5 safety tips to help keep your furry buddy safe and happy this 4th of July. Read our tips below to find out more! Plan Ahead – Before Independence Day rolls around, be sure that your furry friend is microchipped and that the registration has your current address. Also, make sure that your dog is wearing a license tag. This tip alone helps countless families reunite with their lost dogs. Talk to Your Vet – It’s always important to keep your vet updated and informed on how your pet is doing. If your dog has a tendency to get overly anxious and upset when fireworks happen, discuss the situation with your vet. He or she might give your pooch some sedatives to help them remain calm and relaxed so they don’t wind up destroying any property or hurting themselves. Play It Cool Around the Pool – It’s okay if you want to include your pet on any poolside activities, but keep in mind that you need to supervise your pup when she is around the pool. Just like people, not all dogs are good swimmers. If your furry friend is new to the pool, gradually introduce her to the water to make her feel comfortable around the pool. Remember to rinse your dog off whenever you’re done in the pool to remove the chlorine! Exercise Your Dog – Sometime on the 4th of July, take the time to wear your dog out with some fun exercise. Take your pooch for a fun walk or a romp in your local dog park. Playing catch is a good way to exhaust your dog as well. Releasing all his energy will wear your dog out and allow him to relax more during the afternoon and evening when festivities get loud. No time to wear him out yourself? Bring him over to BauserHaus for daycare! Create a Safe Haven – On this very loud and festive day, surround your pup with his favorite toys, blankets, and other familiar objects. Close the blinds and curtains to help block out the bright light and flashes from the fireworks and to decrease the sound as well. Also, consider putting on a soothing radio station or a familiar television show to keep your dog’s ears occupied and cancel out the noises outside. If you’re taking your Independence Day celebrations on the road and cannot bring your pup with you, give him a great 4th of July that he’ll never forget here at BauserHaus! Your furry friend will have lots of fun playing and interacting with other dogs, and we will pamper and care for your dog as if he were our own. Call us at (314) 961-3911 or visit us online at www.bauserhaus.com to learn more. Have a safe and fun 4th of July! This entry was posted in Tips and tagged 4th of July safety tips for dogs, BauserHaus, doggy daycare STL, fireworks safety for dogs, keep dog safe on Independence Day. Bookmark the permalink.